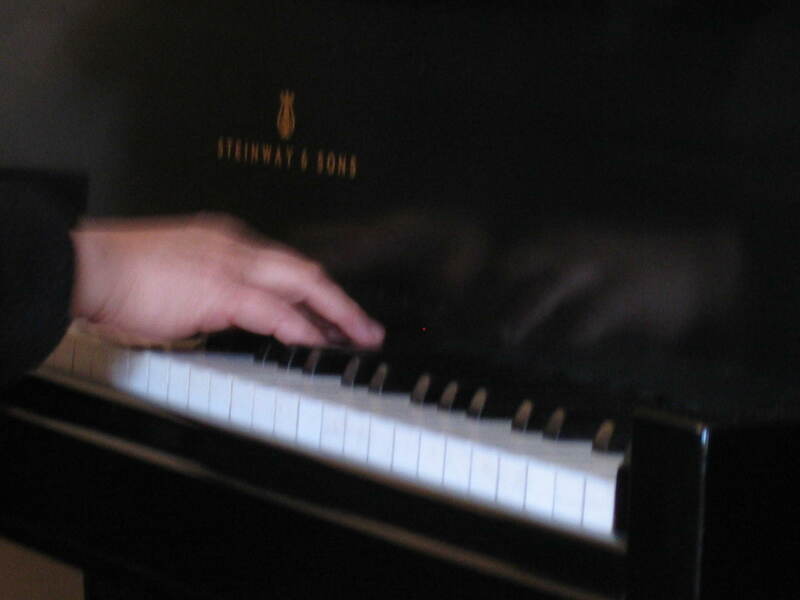 playing the piano . . .
As I’m writing this post, I’m listening to Paul Lewis, the British pianist, playing early Beethoven sonatas. Last night, as my Christmas gift to G., we went to hear Lewis play at Jordan Hall in Boston. I had managed to purchase the last two left-center balcony tickets for the recital. There was a young (around 5) Chinese boy sitting behind me, his older sister (around 11) and his mother. The boy had the sniffles and kept blowing out of one nostril all the way through the concert. I ignored him because at least he didn’t talk while Lewis was playing. Another young boy around 8 years old sat beside G. These young children at this concert (at around $75 a ticket) reminded me of when my middle daughter, M., played the piano and we took her to hear Horowitz because we wanted her to have a chance to hear him play before he died some years later. Paul Lewis played three Schubert sonatas for the program: the C minor, A major and B-flat major late sonatas that Schubert managed to write immediately before he died at the age of thirty-one. I’m familiar with these pieces and Lewis did everything and more than one might have hoped: wonderful, round tone, clarity, color with gorgeous pianissimo, a confident yet ego-less grasp of the music and just beautiful piano playing. People stood and called out “Bravo!” even before the intermission. I thought I had heard a ringing of G# in the lower register during the A major sonata. The piano tuner came out, played the notes and adjusted a note in the upper register. Then distracted by someone on the auditorium floor, he left the instrument and didn’t touch it again. I thought that was a little odd. G. tunes and rebuilds pianos so he had some opinions of the piano too. In any event, when Lewis came out to play the big B-flat sonata, I thought something was off from the way he had carried himself in the first half. Perhaps it’s because the piece itself has a shallower melody bed than the the other two sonatas, but I definitely had the uneasy feeling that Lewis was, well, uneasy too in the 2nd half of the program. Even though there was much applause, he demurred from playing any encores. I had hoped we would hear some of the shorter Schubert pieces, “Moments Musicaux” but he didn’t play anything else. 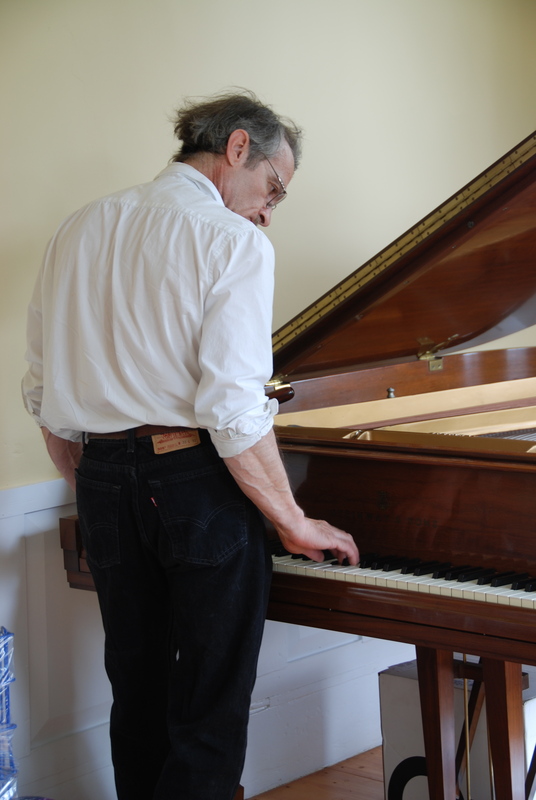 I have to confess that hearing him play on the Steinway Concert Grand in Jordan Hall made me feel, once again, how proud I am to be married to G. who has dedicated his life to pianos. I think he felt something too in his own way. During the intermission, I chatted with two couples who sat nearby. I said I had read online that Lewis’s father had been a dock worker, his mother a housewife and there had been no vestiges of music in his heritage. One said they had never heard of Paul Lewis before and had come as part of their Celebrity Series tickets. The other said he and his wife listened to Lewis’s recordings of these Schubert sonatas before they went to bed for the last two years! Thanks for your kind comment. Have you had a chance to listen to Paul Lewis yourself?